Advance WordPress Cloud Hosting is offering great feature like Toolkit WordPress. 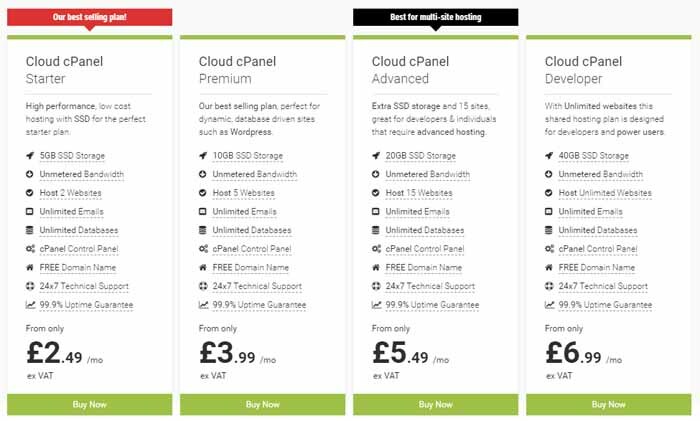 Buy Cloud cPanel Premium Hosting with unlimited emails and 24x7 Technical Support. In general, you can cancel any service in order to receive a refund within 7 days from ordering it. However, for some services, Web Hosting UK has a money-back guarantee. This guarantee is valid for 30 days. You can avail a full refund within 30 days for shared hosting, cloud hosting, reseller hosting, VPS, and semi-dedicated hosting. What type of coupons can I use for my hosting plans? Most coupons can save you money on the plan you are signing up for. You can get as much as 50% off depending on the coupon. You can also use promo codes for free domain or add-on services. Which hosting plan is best for my website(s)? If you are a small business, shared or cloud hosting is the best fit for you. If you have a WordPress website or a Magento website, go for the plans designed for these content management systems. If you have a big website with heavy data transfer and huge amounts of traffic, you will need a private server dedicated especially to your business. Web Hosting UK is a leading hosting provider in the UK with over 1 million websites hosted on its servers. With thousands of customers trusting them for generating business every day, Web Hosting UK has become one of the most reliable hosting companies. They offer all types of hosting regardless of what type or size of the website it is. Using only the state of the art hardware and infrastructure, Web Hosting UK makes it possible for its customers to get the best value for their money. If you are looking for a Cloud Server dedicated for your business, Web Hosting UK may be the most economical place to get it in the UK. You can get it starting at £25 per month. As your resources increase so does the monthly rate. Nevertheless, you can scale up as your business requires as the cloud server you use is flexible and scalable. The Linux (cPanel) and Windows plans start at just £2.49 per month. The WordPress plans start at £0.99 per month. 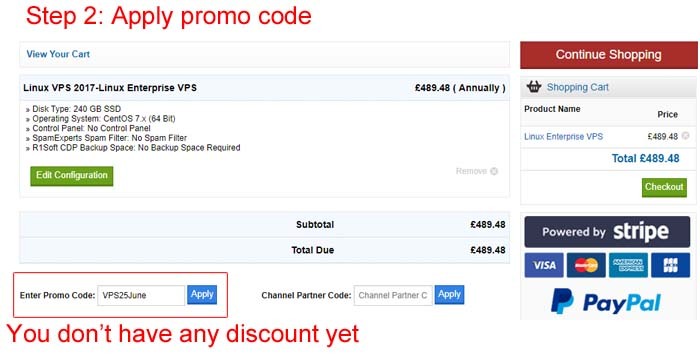 The Magento VPS Cloud hosting plans start at £12.99 per month. The Dedicated Servers at Web Hosting UK can provide up to 1 Giga bit port speed. With an all high-performing SSD structure, you get unimaginable speeds. Rates vary by plans and resources you choose e.g. HDD or SDD. 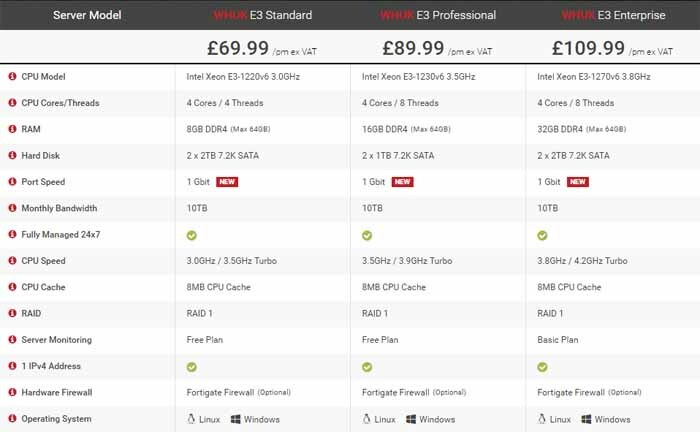 The WHUKE3 Servers are the cheapest starting at £69.99 per month. 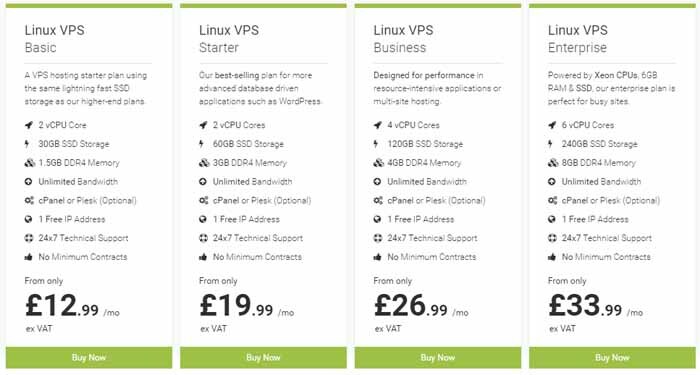 The VPS SSD Servers at Web Hosting UK are available for Linux and Windows. 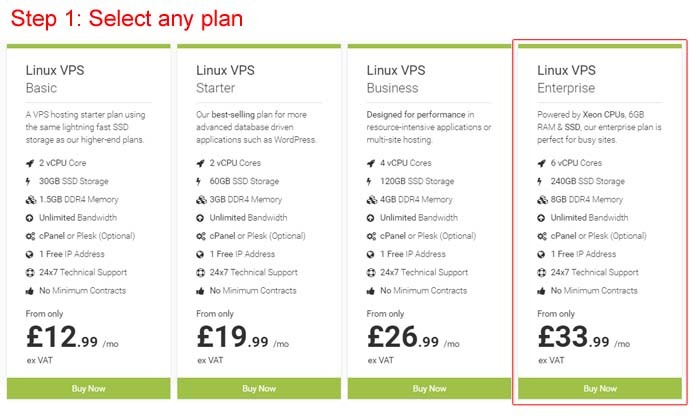 The Linux VPS plans start at £12.99 per month whereas the Windows VPS starts at £15.99 per month. All plans include unlimited bandwidth and 1 dedicated IP address. Web Hosting UK Coupon Codes are very easy to apply. 1. Select your plan at Web Hosting UK. 2. Apply coupon code to get discount. 3. Congratulations! Coupon applied successfully and you get the discounted deal.